Topshop has always been a trendy budget chic powerhouse, especially across the pond. The Spring 2010 collection showcases some familiar pieces, just with a futuristic accent. They’ve created 4 families of looks — sub-collections if you will: Parisienne, Downtown, Meadow, and Saloon. You’ll see a muted color pallete across all of the collections, but significant usage of floral patterns, mixing fabrics, bleached denim, and ornamentation consistently through the line. And as Blake VonD told you in last week’s Fashion Forward post, blazers and harem pants…in full effect. Check out some of the looks below! Who’s gonna run this fall? Fashionably speaking, it will be none other than +J – Z. Let me clarify; we’re not talking about Hov, we’re talking about the fall offerings of two affordable fashion powerhouses, Uniqlo and Zara. The heavily anticipated +J collection (Jil Sander for Uniqlo) is set to launch October 1st, and from what we’ve been privy to viewing…the pieces are BANANAS (especially the women’s down ¾ length coat)! 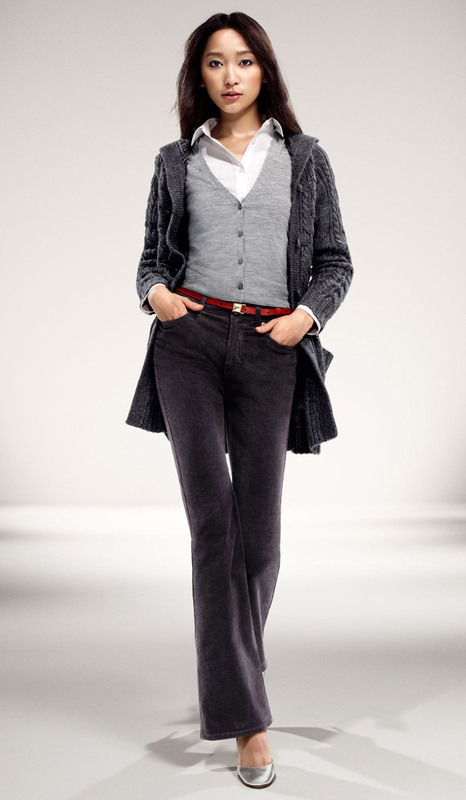 The monochromatic grays used in this line will establish a legit base for every look you attempt this Fall/Winter. We’re talking, Japanese engineered garments, with a reputable designer’s vision, ALL ranging from $21 to $155 (we know…those are like Canal St. prices). Don’t SLEEP! The budget chic underdog, Zara, usually gets overlooked because of H&M’s popularity/ accessibility, and Topshop’s coup d’etat of Europhile fashionistas. However, there are 2 lanes that Zara succeeds both brands: Outerwear and Footwear. In terms of outerwear, Zara uses a unique color palette and mixes different, yet complementary materials to recreate traditional blazers, jackets, and overcoats. In terms of footwear, Zara manages to produce tasteful analogs of designer/runway shoes, with better construction than ANY budget chic brand – for prices ranging from $39 to $89 (women & men). That’s a no-brainer! On that note, just act accordingly: this F/W, your Blueprint for fashion…+J – Z (AWH!…in my best Hov voice). What if I told you that you could pull off designer footwear….for less than $50? A personal favorite here at the Urban Takeøut studios is Maison Martin Margiela. I was really diggin’ the bandeau inspired looks of his Summer/Spring ’08 RTW line. I decided to put this post together to give you Urban Graduettes a more cost-effective way to show your appreciation for MMM. No, these are not the same designs but they are ridiculously close. The cheaper alternative to the right is the “Summoning The Storm” tee by Liquid Blue. 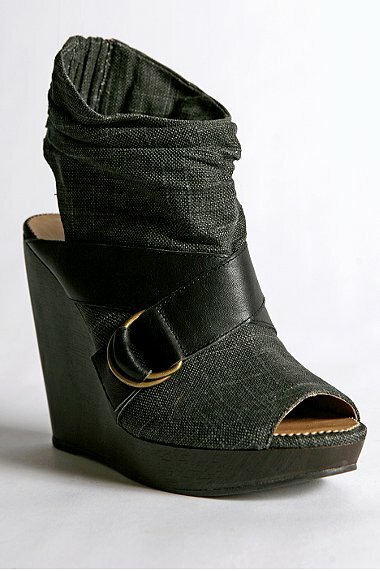 And finally, the booties…Black leather ‘Soho’ collar sandals by Ash. The objective of our new category, RecessionProof 220, is to simply provide dependable suggestions of things/items that will contribute to your style, with out contributing to your debt. These items are virtually inelastic — they won’t fluctuate with the economy, they won’t depreciate in value over time, and they won’t need a billion-dollar bailout. “Why?” you ask….because Urban Graduates deserve it. So here is the Rick Owens look at a WAAAY more affordable price.